On this year’s Battlefields Trip we took in some of the most breath-taking and emotional scenes. Being in France and Belgium, you really got a sense of what life was like for World War One soldiers. You learn about the World Wars in your history lessons but it’s not the same as actually being in the places where the battles were fought. You feel their loss. You feel what they had to go through but you also feel their happiness and relief when the war is over. One of the most shocking things is when you visit the memorials and there are so many soldiers’ names on the wall as they haven’t found a body. The most dreadful thing is also the amount of graves with “unknown soldier of the great war” on. These are soldiers with a body but are unidentifiable. We left Launceston filled with excitement and anticipation to visit the WWI battlefields of Belgium and Northern France. Our first location: an Indian memorial at Neuve Chapelle dedicated to the Indian troops that served during WW1, it was interesting to see how this truly was a world war. A physical memory of war was the Lochnagar crater, the largest ever made by man in war. We set out to see some of the mass graves in Belgium including Lijssenthoek and Passchendaele . We also visited one of the few German cemeteries in Belgium, this helped us to see the other side of war. We were staying in Ypres so we visited the Menin Gate last post ceremony which still happens every day at 8 o’clock to commemorate the fallen of WW1. 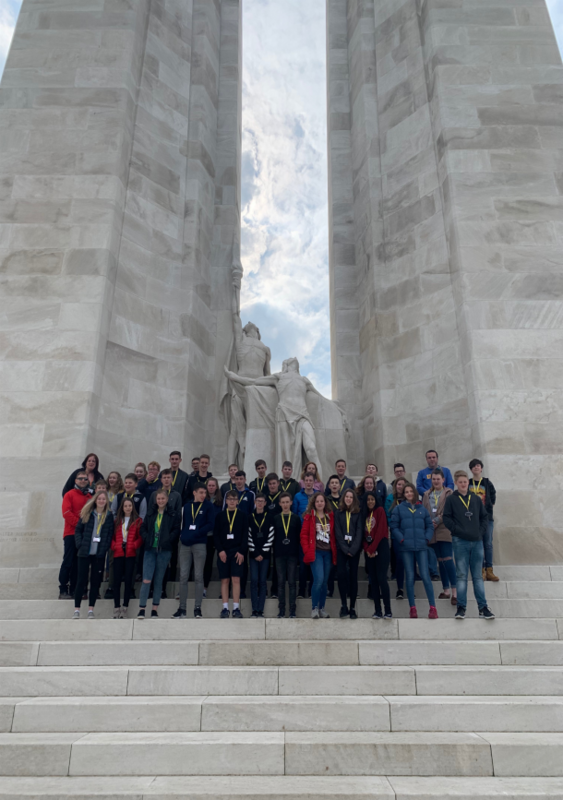 Our final memorial was Vimy Ridge, which is where the Canadians made one of the most decisive breakthroughs of the war, to see some of the more preserved trenches before heading home.